When I was a senior at Washingtonville High School two years ago, it was always the most talked-about-matchup — no matter the sport. Granted, Monroe-Woodbury nearly always had the better team in any sport, when someone said Washingtonville was playing Monroe-Woodbury, everyone started to pay attention to the conversation. Despite what the fans from Washingtonville may tell you, there’s no rivalry between the football teams. The Crusaders have outscored the Wizards 134-32 in their last four games on the gridiron. However, there is a real rivalry on the hardwood for boys basketball. The Wizards have beaten the Crusaders twice already this season. On December 7th, they won 49-41 in OT, and in the Glen McGinnis tournament final on December 28th, they won 60-55 after trailing for the majority of the fourth quarter. In the last three seasons, they’ve played against each other five times. Washingtonville has won 3, and Monroe-Woodbury has won 2. Each game was decided by 10-or-less points, and two games went to overtime. During every game, fans exchange taunts from each side of the court. Most of the time, the chants are expletive-filled, with one student section always trying to come up with the more creative chirp. Washingtonville star forward Kareem Lubin has played two of his best games this season against Monroe-Woodbury, combining for 29 points, 20 rebounds and five blocks. He tries not to buy into the rivalry concept, but feels the increase in physicality throughout the game. Monroe-Woodbury senior forward Chris Lulgjuraj played two of his best games this season against Washingtonville, combining for 20 points, 9 rebounds and 4 blocks. He added that there’s been a different vibe when the Crusaders play the Wizards. Monroe-Woodbury super-fan and former quarterback Steven Campione said that no matter the sport, kids from Monroe-Woodbury always look on their schedules for when their team is playing Washingtonville. Both teams match up very well against each other. They have height, and depth on the bench. Both games this season, and games in prior years have been chess matches. Both coaches are two of the most well-experienced and well-respected in Section 9. Monroe-Woodbury head coach Dave Powers is one win away from reaching 400 career wins, while Washingtonville head coach Todd Rose is in the midst of his 13th season. Despite being in different divisions, both teams could end up playing each other for the third time in the regular season. Both Monroe-Woodbury and Washingtonville are in the Jim Taravella tournament, which also features Goshen & Chester Academy. If Washingtonville and Monroe-Woodbury win their respective first-round games on January 12th, they will meet in the championship on January 19th. 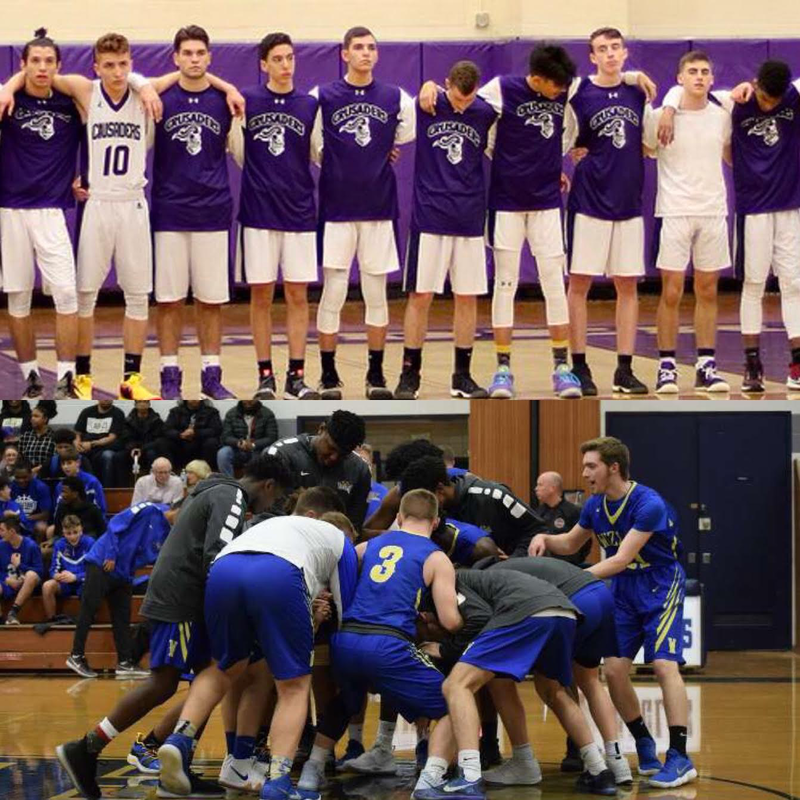 The competitive nature of each game and audaciousness of the crowd ensures one thing — Washingtonville vs. Monroe-Woodbury is a boys basketball rivalry.